This week I thought I'd give you a sneak peek of the home I'll be at tomorrow for the Mid Century Modern homes tour "Austin 1964!". 5102 Ridge Oak Drive was built in 1949 for Arthur Fehr and his family by Fehr & Granger. He lived in the home until his death in 1969, and his wife would remain in the home until the 1990’s. The home is an excellent example of mid century modern architecture with it’s use of expansive sections of glass connecting the inside with the out, and the minimal ornamentation. The recent home owners Jan and Keli purchased the home 2010 and are the 3rd owners. Once moved in, they waited 3 years before undertaking a minimal remodel so that they would be able to become better acquainted with the home. The new remodel included a new swimming pool, updated exterior facade, and updated fireplace among other things. The remodel was done by Jan and Keli's company Modern Design+Build. Arthur Fehr is one of Austin’s most accomplished and influential architects. He began practicing as an architect in 1925 after receiving his degree from UT. While his early work was largely styled after the Beaux Art tradition, later in his career he was influenced by Europe’s International style and the work of Walter Gropius. 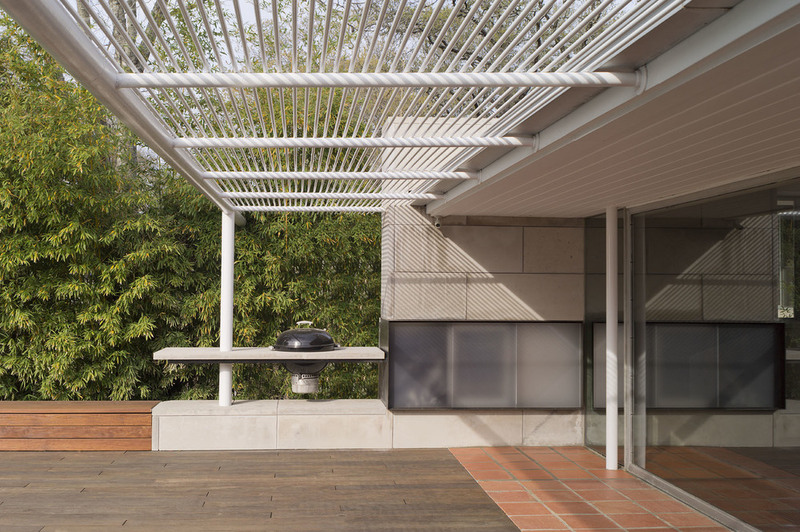 In 1935 he would team up with the younger Charles Granger, who after graduating from UT had worked for Richard Neutra. Other notable projects by Fehr & Granger include: Robert Mueller Municipal Airport and control tower, O’Henry Middle School, and Bastrop State Park Cabins. More information about Fehr & Granger can be found on my Austin Modern Resources page, including a great primer about MCM architecture in Austin. All photos courtesy of Paul Bardagjy.